Live the adventure that promises you a ride that no one else can. Experience the Stockton Beach sand dunes like never before. You will ride safely from bush to beach on our 400cc Arctic ‘All Terrain’ Quad Bike. Your adventure begins at the Murrook Complex where you fill in your necessary paperwork. Then we will direct you to the beginning of the tour. Learn the basics of quad bike riding, including safe ATV handling and riding techniques. Be given an insight into traditional Aboriginal food, culture and history by your Aboriginal guide. Immerse yourself in coastal wilderness. During the tour we place a strong emphasis on explaining the Stockton Sand Dunes and beach. We pride ourselves on giving you an overview of the area with its rich cultural and historical heritage. We own and control the highest coastal sand dunes in the southern hemisphere and they are not open to the public. The only way to see them is through us. This way we can control the environmental impacts and protection of our Aboriginal heritage. The public and all other tours must use the designated off road areas, low dunes and plenty of people! We can accommodate special requests for large numbers (including parties and birthdays etc). We can accommodate 20 riders per session. 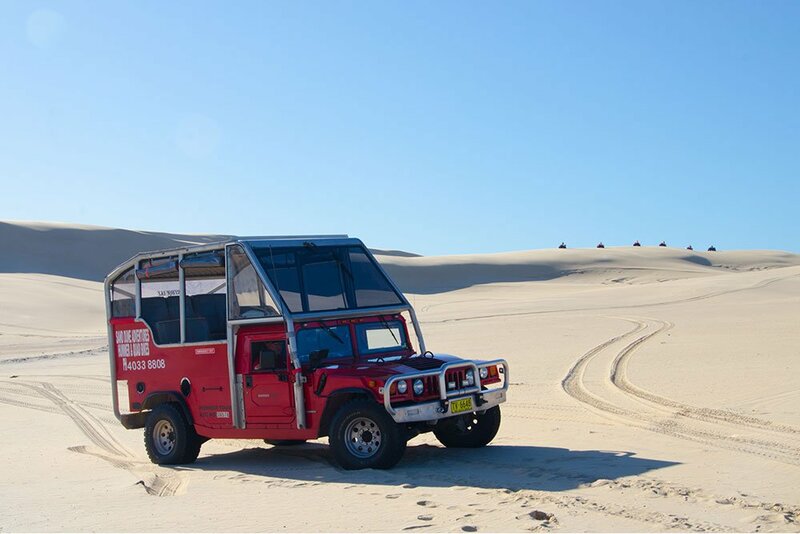 Sand dune Port Stephens quad biking and hummer tours. Call us on +61 (0)2 4033 8808 to book now. 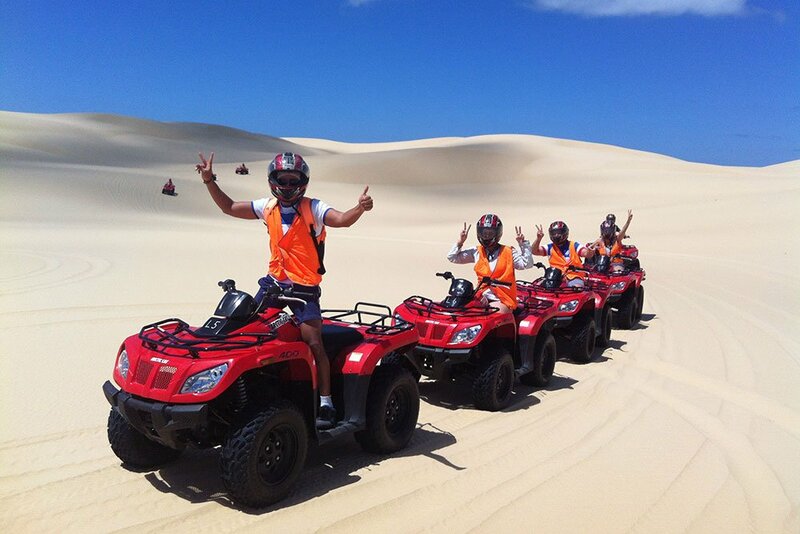 Largest quad bikes and sand dunes in Port Stephens.